That’s Italian: Where to shop? I do. But I thought I’d throw the question out here on the blog, so you folks can add to my list. First let me say that we live in a food-shopper’s paradise. 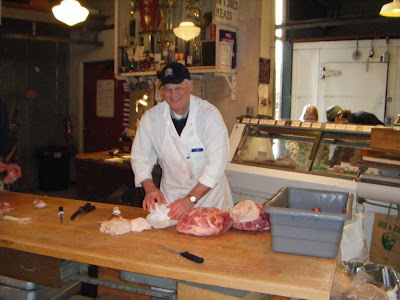 Many of the items Kevin’s searching for may be found at our area supermarkets — everywhere from QFC to PCC, Top Foods to Whole Foods, Metropolitan Market to Central Market (where I often buy meaty veal shanks for osso bucco). There are also many web-based businesses selling the products Kevin’s looking for. For those who choose to go that route, I encourage you to support the local economy by shopping at ChefShop (whose retail store is at 1415 Elliott Avenue) and buying Ritrovo products (available via Ditalia). But what fun is shopping by phone or online when — listen up here, Kevin! — you can stop what you’re doing right now and drive to Pike Place Market for some serious one-stop shopping. Chances are, if you’ve been reading this blog from the get-go, you may recall PFI as my not-so-secret source for those amazing cans of Ma Made marmalade-makings, discussed right here where I showed you how to turn a $10 can of citrusy goodness into $80 worth of giftable gloriousity. Anyway, if you haven’t been to PFI — where you never know what kind of fun food-imports you’ll find (but you know you’re going to leave with many of them) — get going. And know this: because it’s at the tail-end of a big brick building in an industrial part of downtown, it’s hard to find. But only if you don’t know where to look. Lost? If you’re staring at the sad old former old Immigration and Naturalization building on Airport Way South, it’s in its backyard. 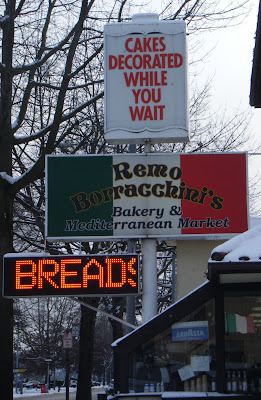 And who can forget Remo Borracchini’s in Rainier Valley? Not me. In fact, I was there a couple weeks ago buying baked goods, and after perusing the Italian ingredients lining that iconic store’s shelves I left with a jar of anchovies and some fancy dried pasta, as well I should have. 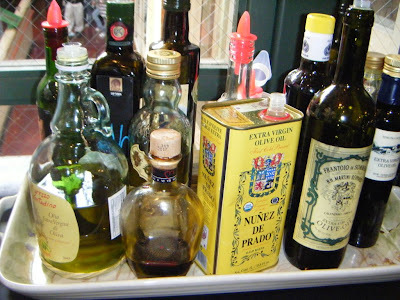 By the way: that Italian-food-lovin’ Siciliana, restaurant critic Providence Cicero, told me not to forget to tell you about the charming little specialty foods store and cafe Bella Cosa in Wallingford. So I won’t. I’ll leave you with one more tip: Eater Noriko Anderson emailed yesterday to sing the praises of another Italian-food purveyor, Dolce Europa Fine Foods in Georgetown, which specializes in imported Italian desserts. Like P.F.I. and Chefshop, it’s a wholesale operation with a retail shop open to the public (thanks, Noriko!). Now it’s your turn, Eaters: Where would you send Kevin and his shopping list? 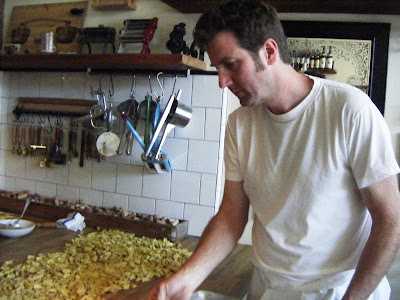 And another thing: Kevin could probably use a good Italian cookbook to get started with. I’d likely steer him toward “Lidia’s Italian-American Kitchen,” by Joe Bastianich’s mom. You?